The series is tied at 2-2. Game 5 is up for grabs. Music City has been very, very good to them during the regular season. Plus, the Avs bring a little Central to the Pacific final, the Steelheads are one win away, and more. The blowout in Game 4 throws fancy stats to the wind. 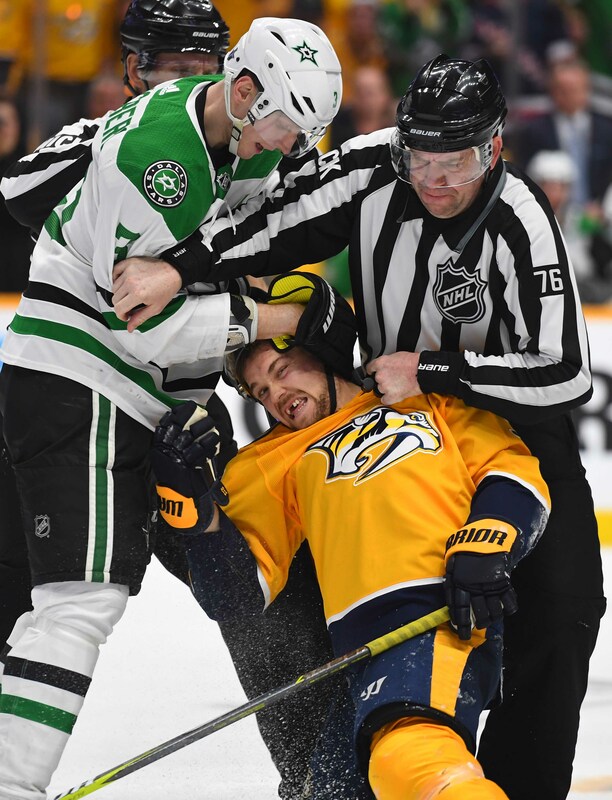 Regardless, Nashville needs a plan. Dallas needs to be ready. 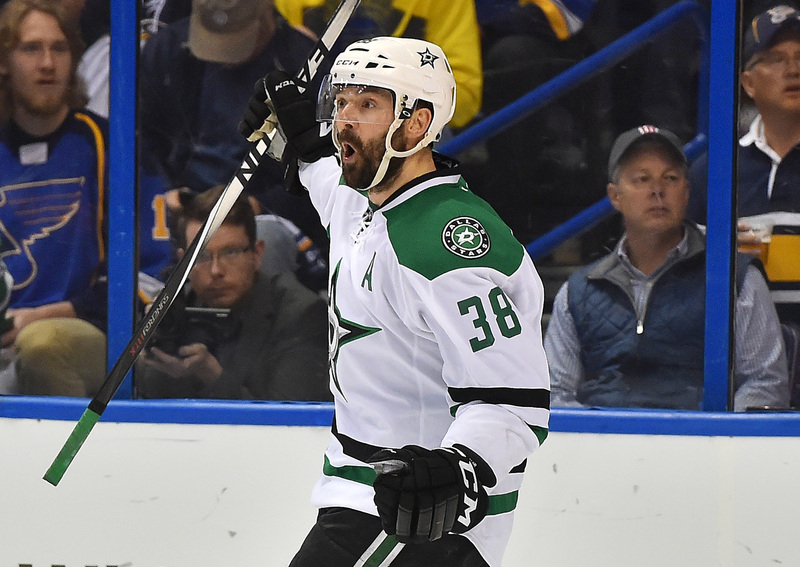 Despite missing several weeks due to injury, the Stars’ deadline acquisition has been nothing short of fantastic. The question is only whether you’re going to buy one or 10 iterations, isn’t it? 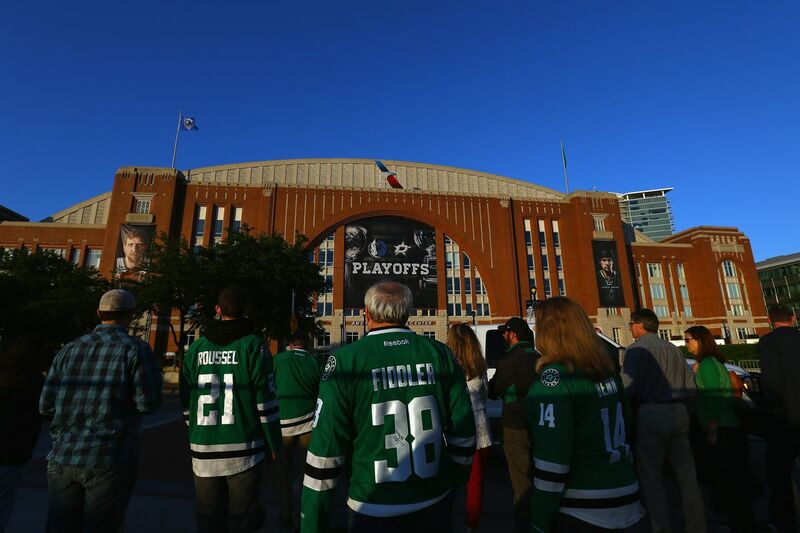 Your Definitive Visitor’s Guide To Dallas Is Here! 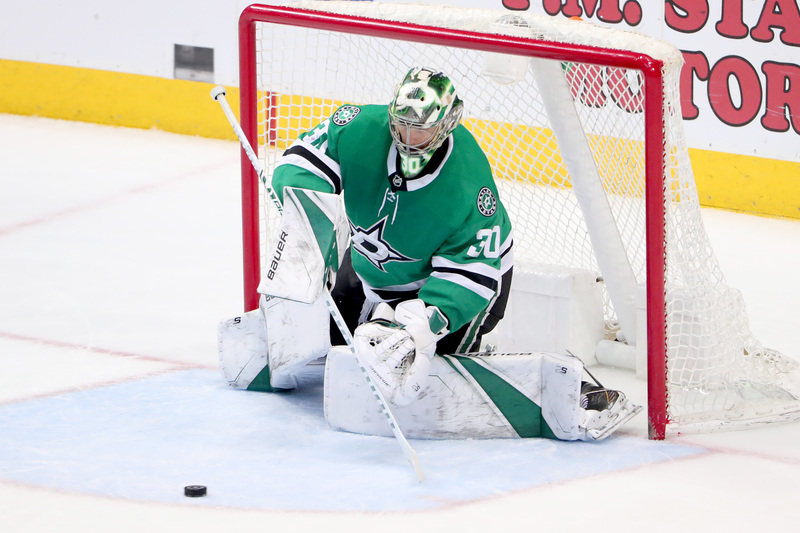 Last night’s First Star proved he belongs with the big club, writes Mike Heika. 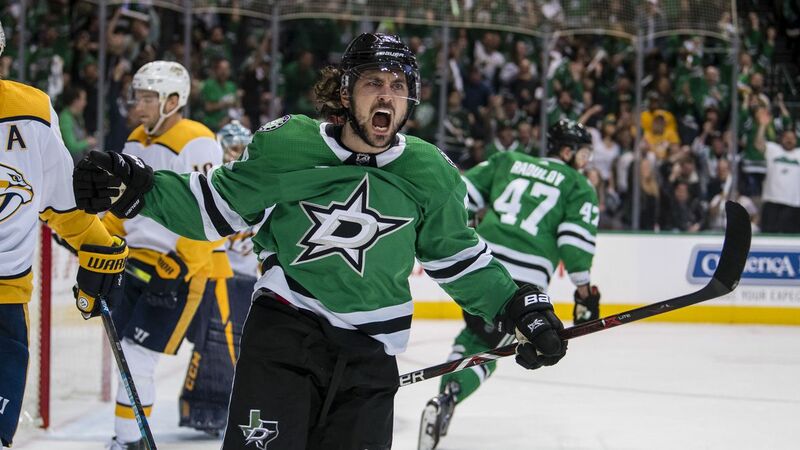 Plus, Mats Zuccarello goes to 11, the Steelheads win in overtime, and more. 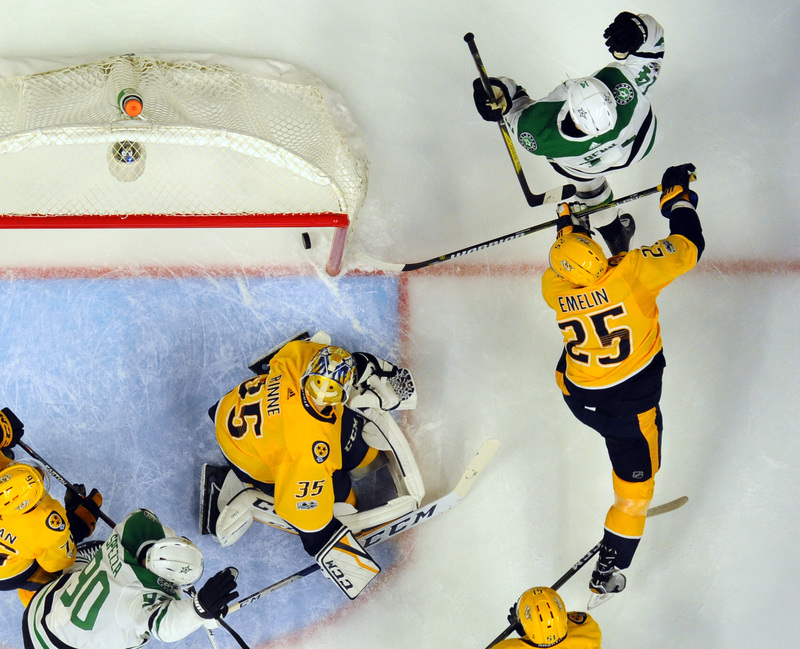 Dallas Stars used a lethal power play to pounce on the Nashville Predators early. 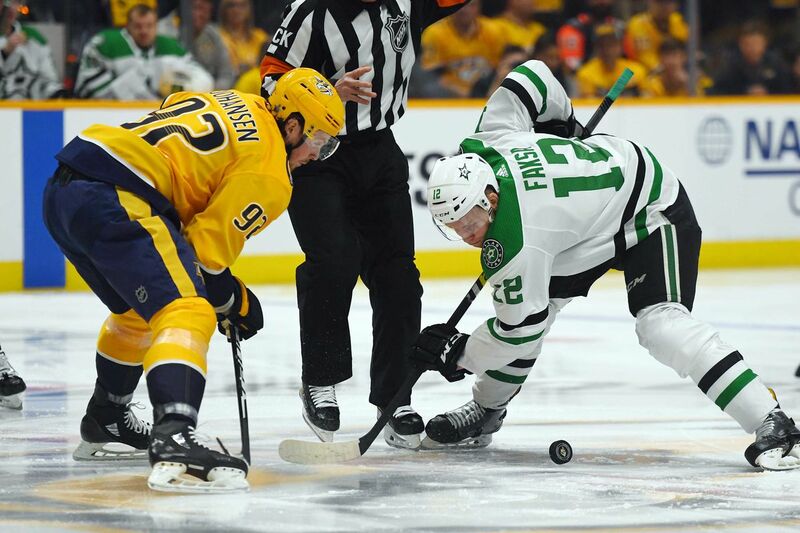 The win evens the series between the two Central Division teams as Game 5 is set for Saturday in Nashville at 2 PM CDT. 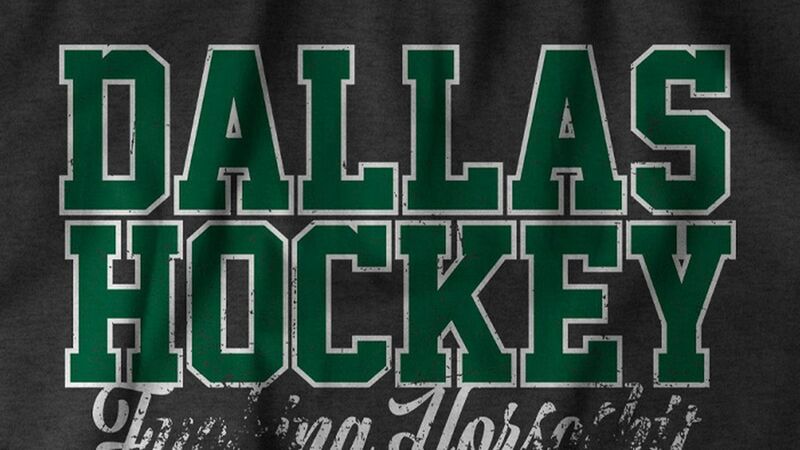 Gotta re-establish home ice advantage tonight. 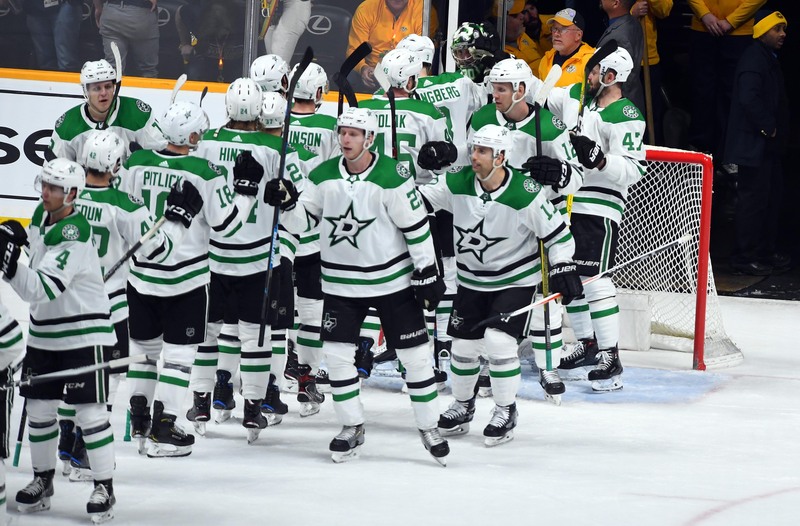 The Stars won all of the battles that didn’t count in the last game. The rules of chaos want this one to go seven, don’t they? 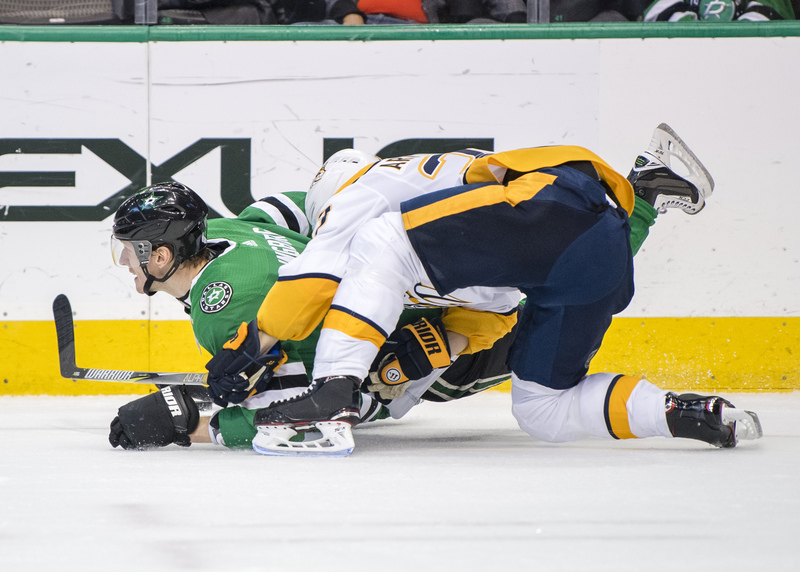 Elsewhere: Texas Stars eliminated from playoff contention, Tye Felhaber plays the overtime hero for the Ottawa 67’s. 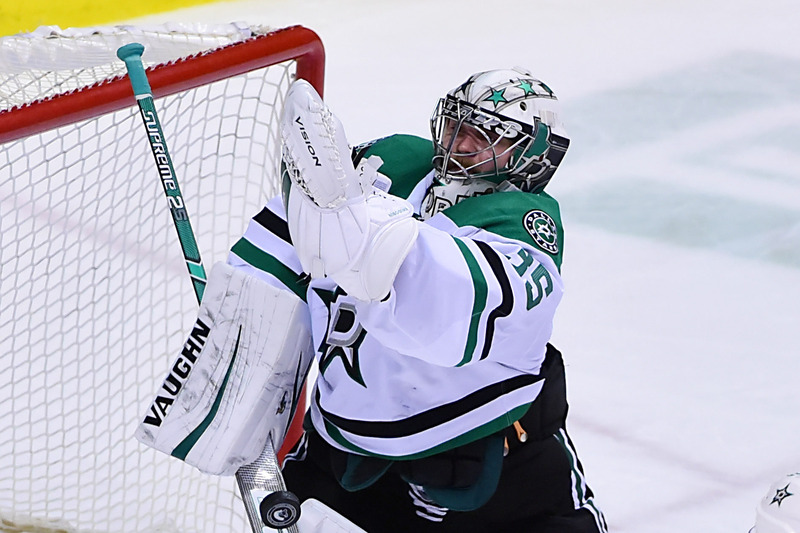 The Stars’ netminder had a rough game, but he’s not the sole reason for the loss. 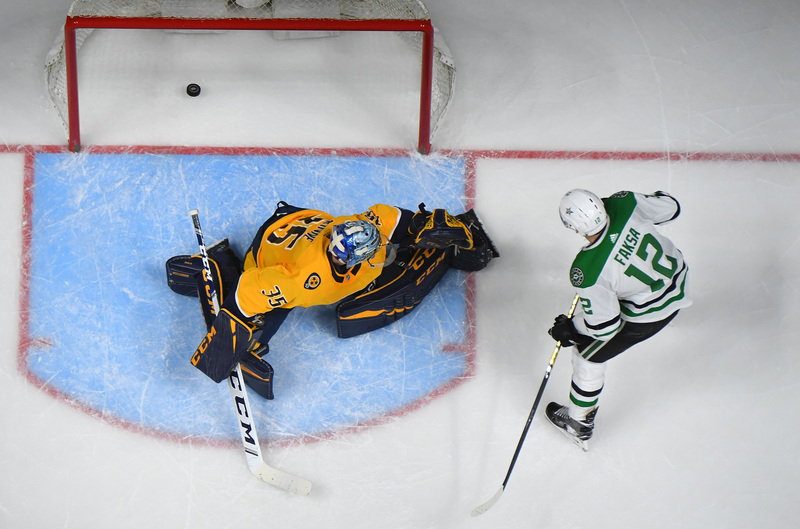 Pekka Rinne won the battle of the elite netminders in Game 3. 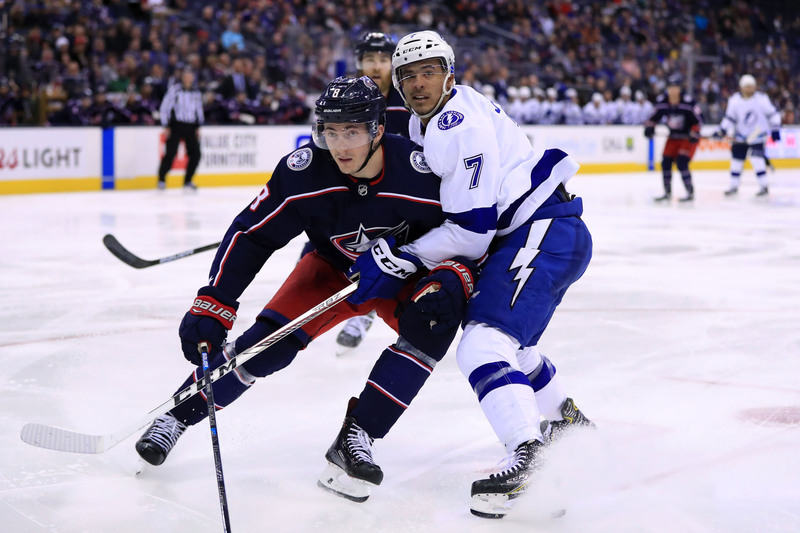 Plus, Lord Stanley’s War continues, Vigneault to Philly, the day in suspensions, and more. 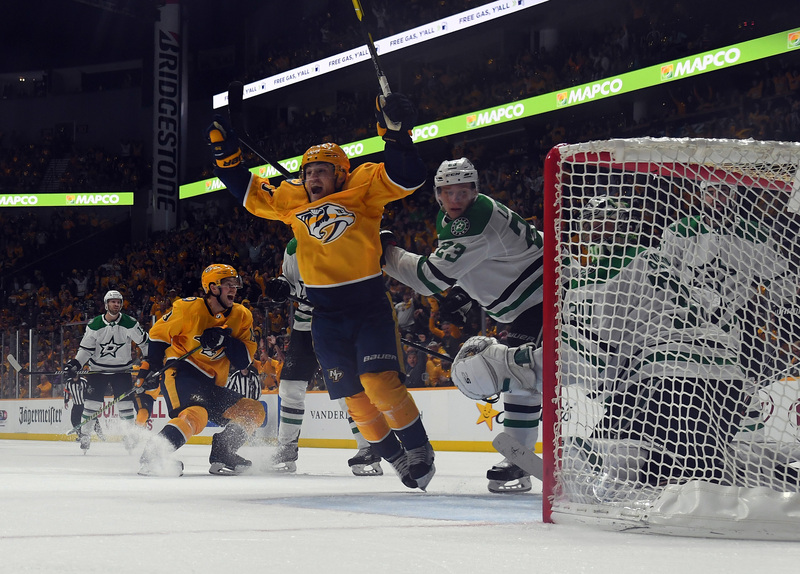 The Predators now take a 2-1 lead in the series and have swung momentum back their way. 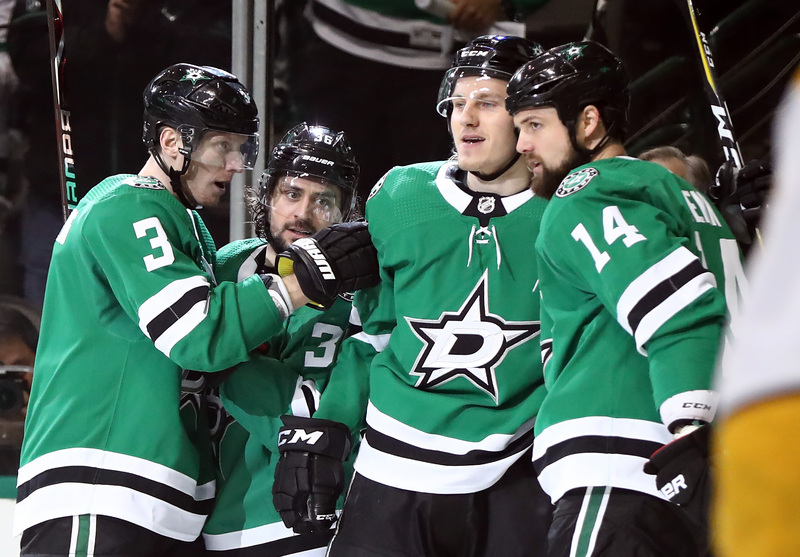 The Stars took one on the road and now bring it home to American Airlines Center. 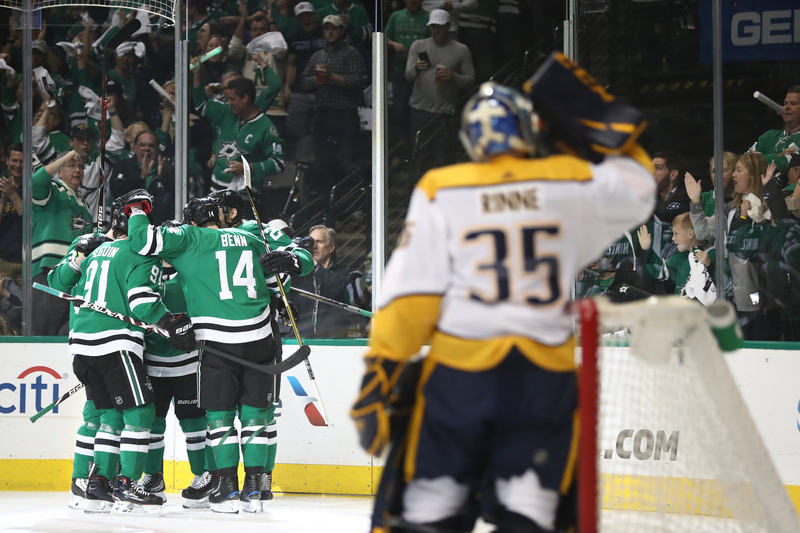 After going 1-1 in Nashville, the Stars return home. But did the Predators steal back series momentum with their 2-1 Game 2 victory? 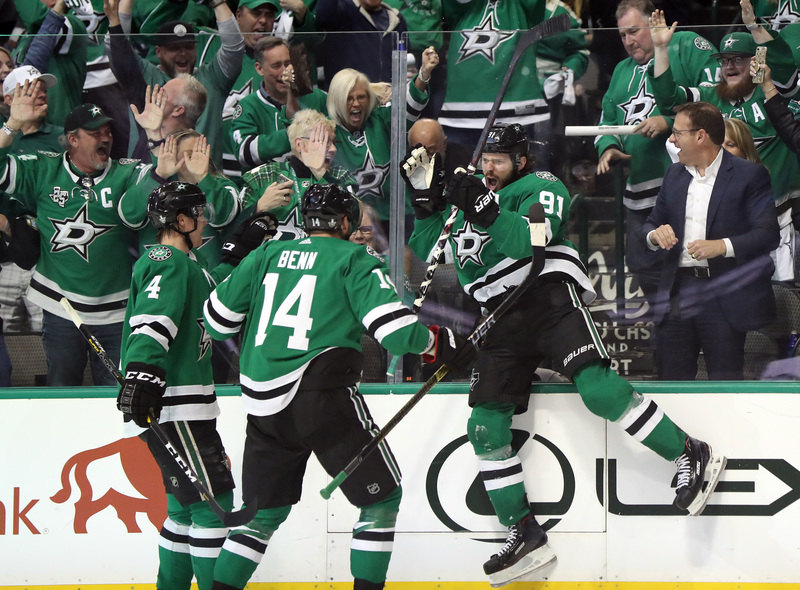 The organizational coach has had his fair share of playoff experience, which he is now imparting to the Stars. Plus, updates from last night’s games, Team USA wins gold (again), and more. 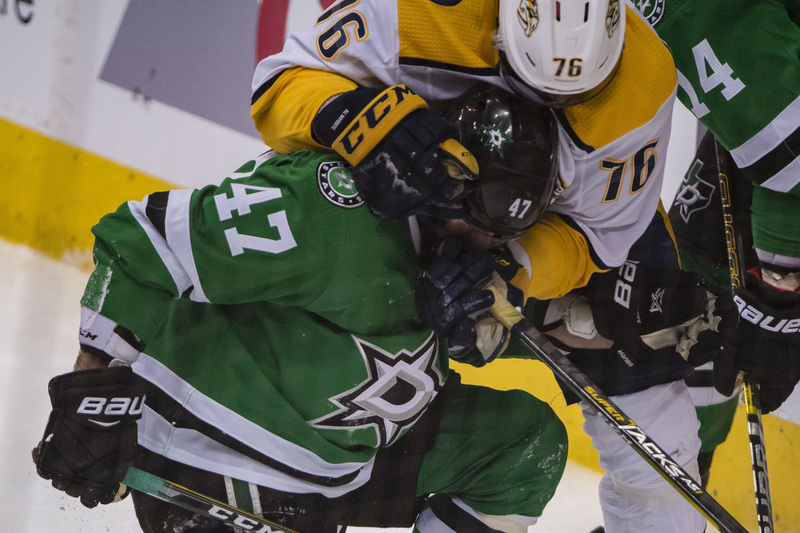 The Dallas Stars fall in overtime to the Nashville Predators, tying the series at 1-1. 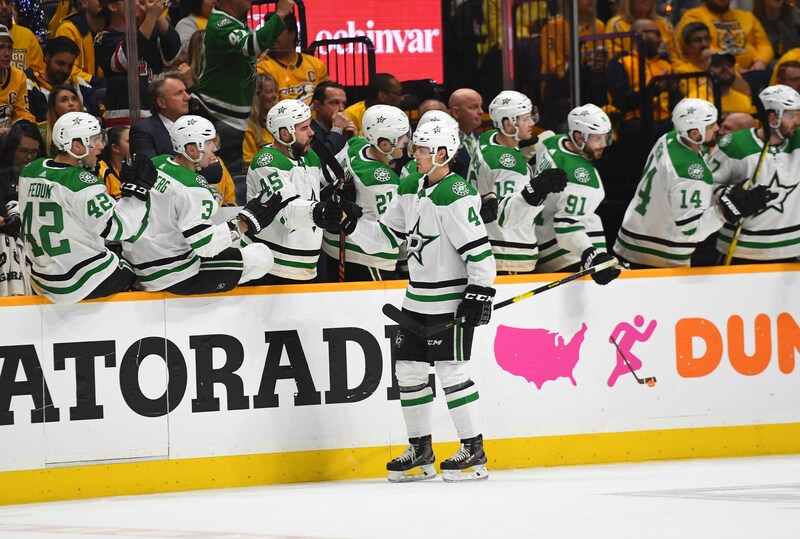 The series shifts back to Dallas for Games 3 and 4. 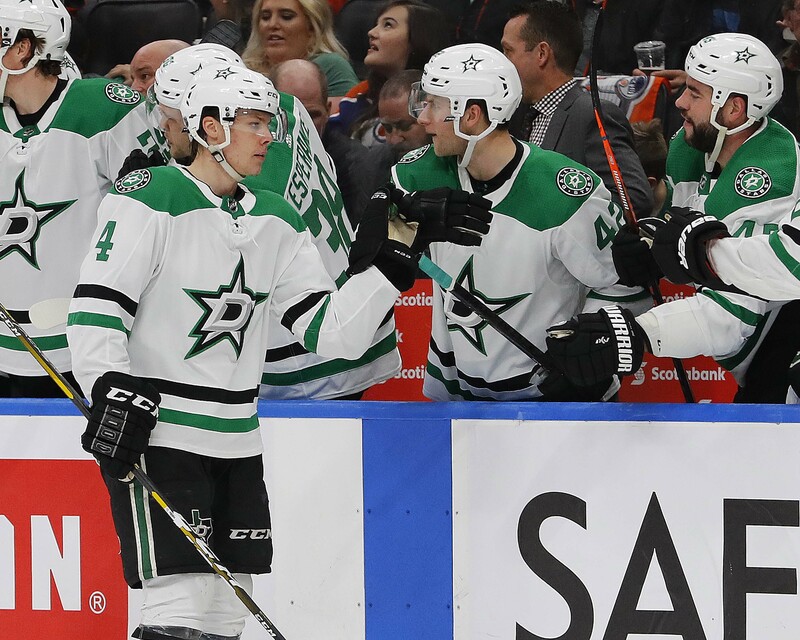 Stars Fans - solve a Mystery, earn a beer! 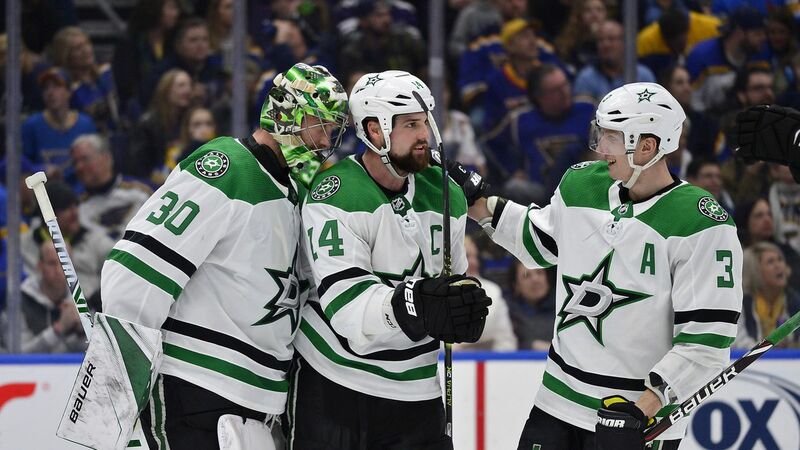 The Dallas Stars are back at it, looking to take a 2-0 series lead in their first round playoff series. 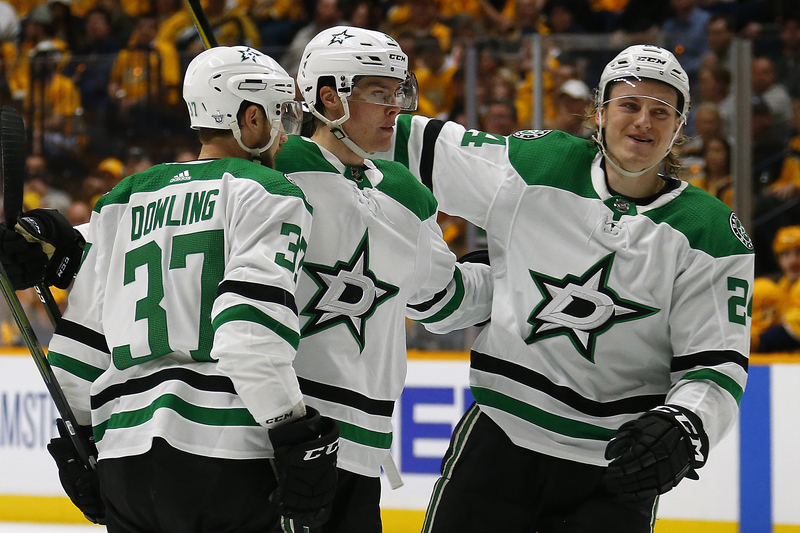 The Stars kicked up the pace after a lethargic first period. 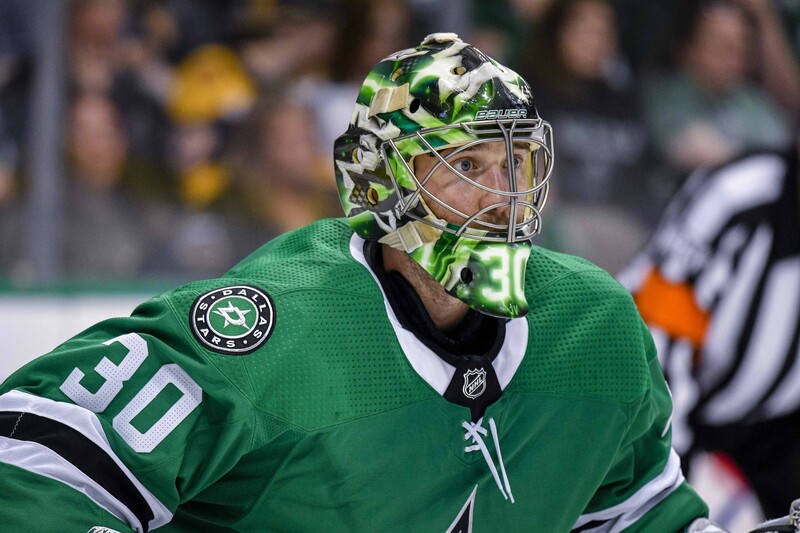 How will the Predators react? 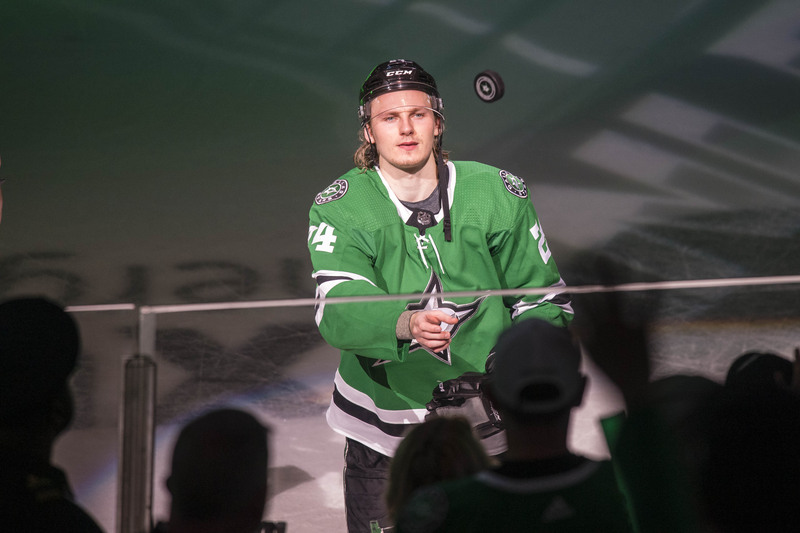 At 19-going-on-30, the rookie sensation already looms larger than life, writes Mike Heika. 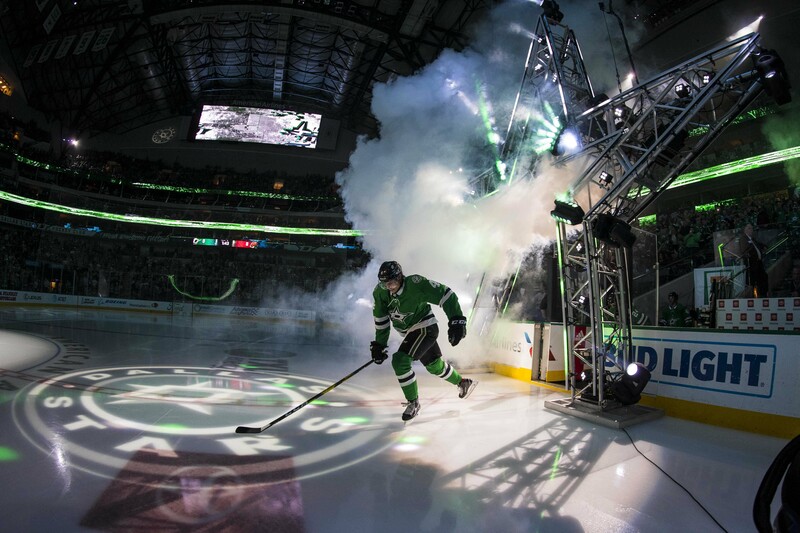 Plus, Friday’s playoffs action, the Texas Stars keep hope alive, and more. 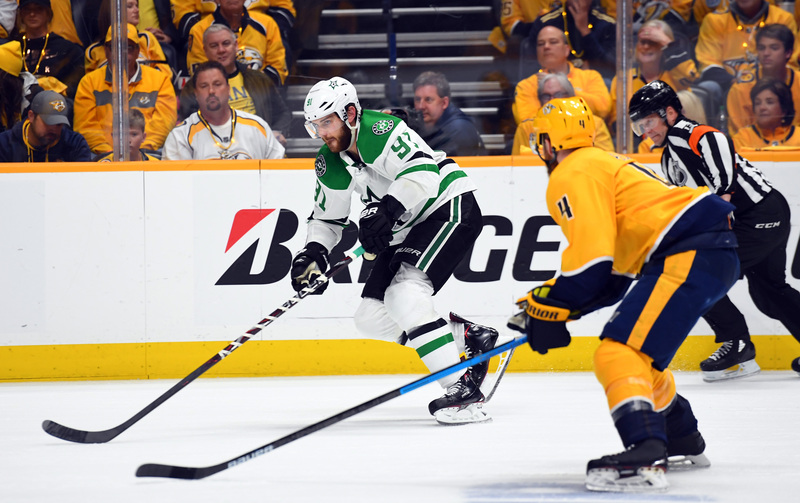 The Dallas Stars came into Nashville and took Game 1 in a clinical display of defensive hockey. 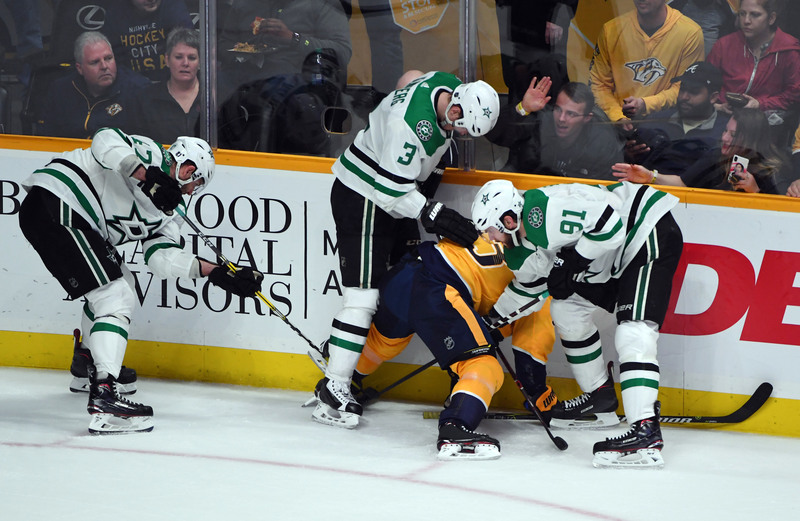 Going into Game 2, the Stars are sitting in the drivers seat, having stolen home ice advantage from the Predators. 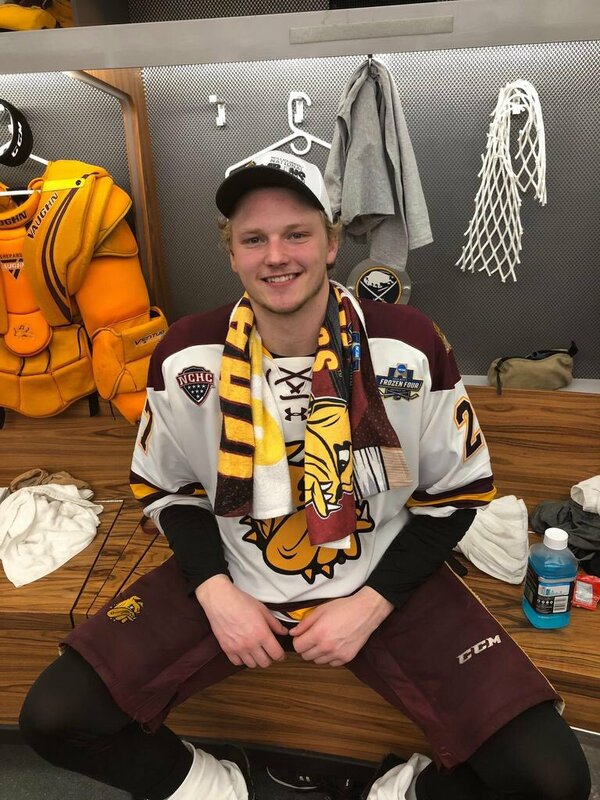 In a straightlaced sport like hockey, it’s nice to remember there are still class clowns here and there. Plus, scores from last night, which games this season could have changed the lottery outcome, and more. 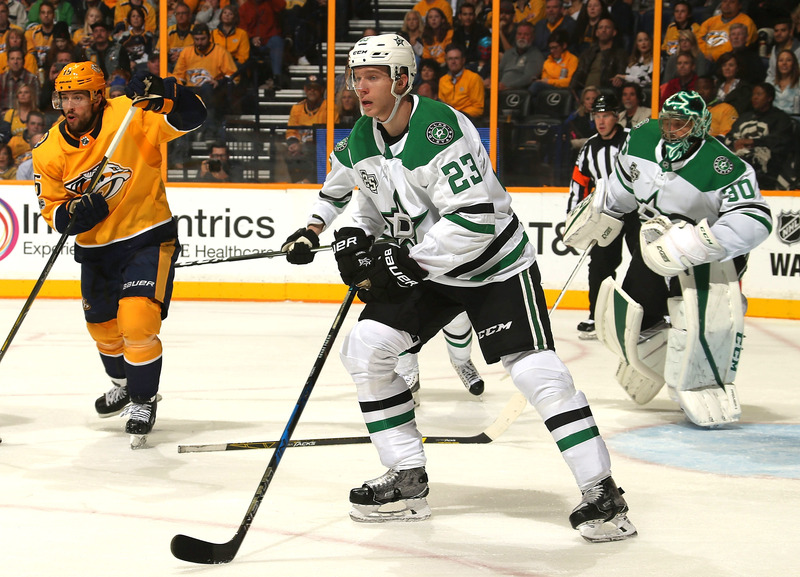 Heiskanen and Hintz were everywhere in this one, and Nashville went nowhere. 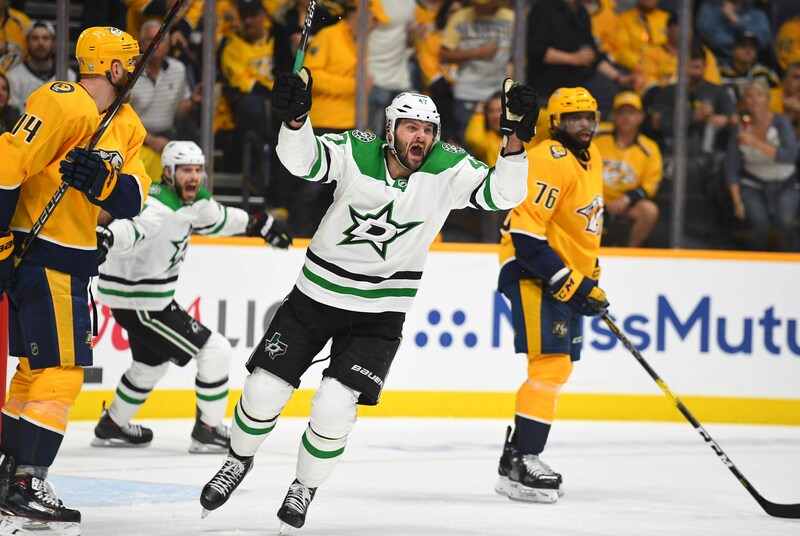 The win is the most important thing, obviously, but there are clues in how the Stars skated away with victory that could help fans anticipate the rest of the series. The teen phenomenon is now a force that must be reckoned with, writes Sean Shapiro. 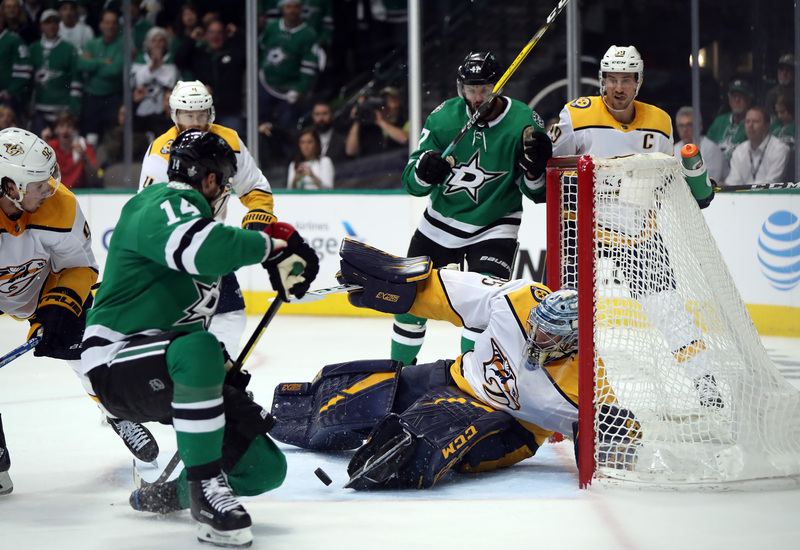 Plus, last night’s playoffs action, a Texas Stars update, and more. 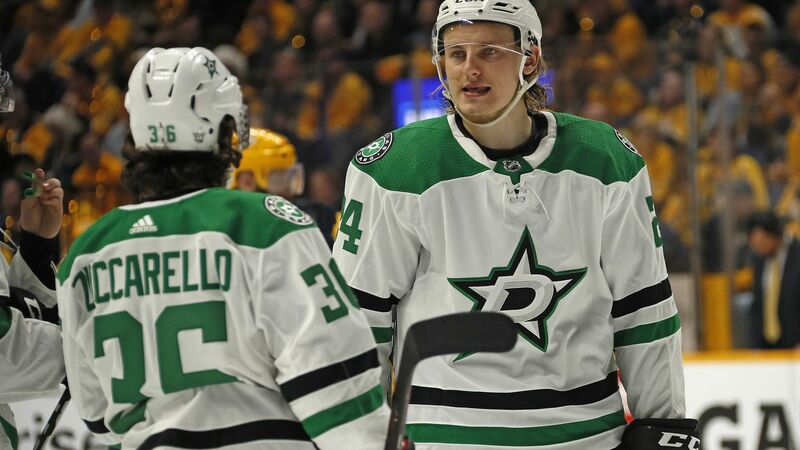 Miro "The Hero" Heiskanen and Mats Zuccarello, along with a strong defense, led Dallas to a Game 1 victory over Nashville. It all starts tonight! Round One, Game One, Stanley Cup Playoffs. 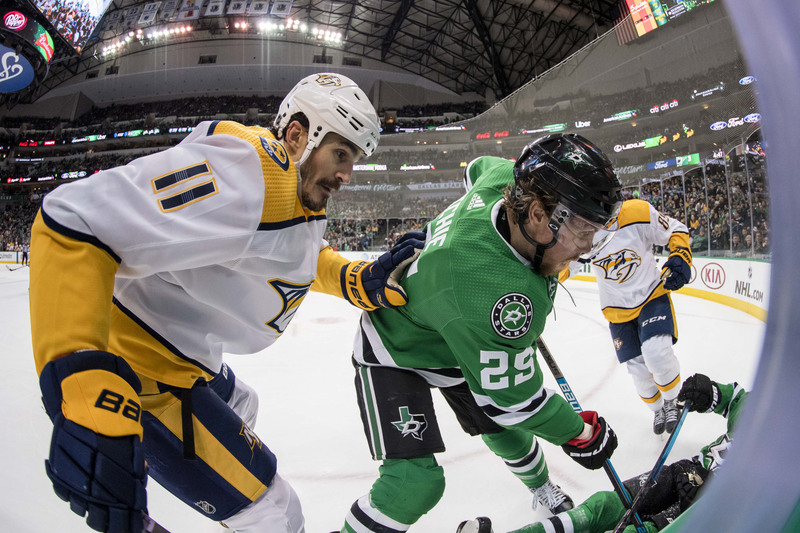 All things lineup related as we get ready for puck drop tonight at 8:30 PM CDT from Bridgestone Arena. 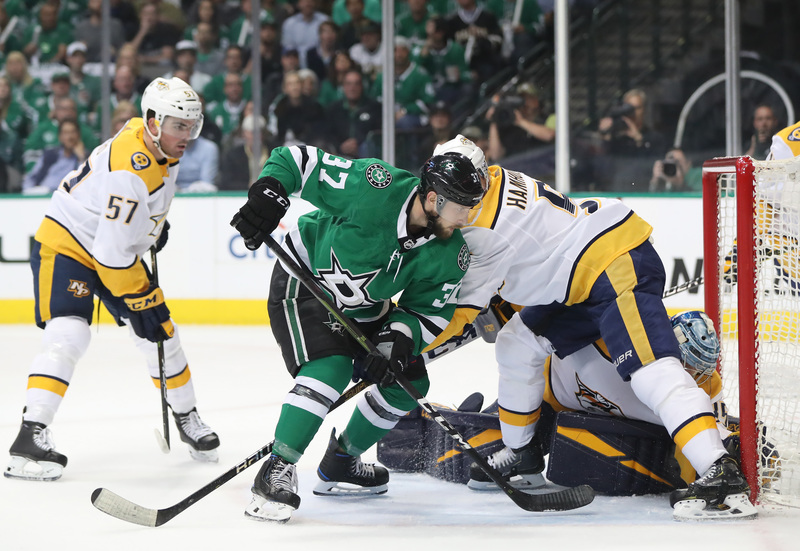 Do The Dallas Stars Hold An Edge Over The Nashville Predators In Special Teams? 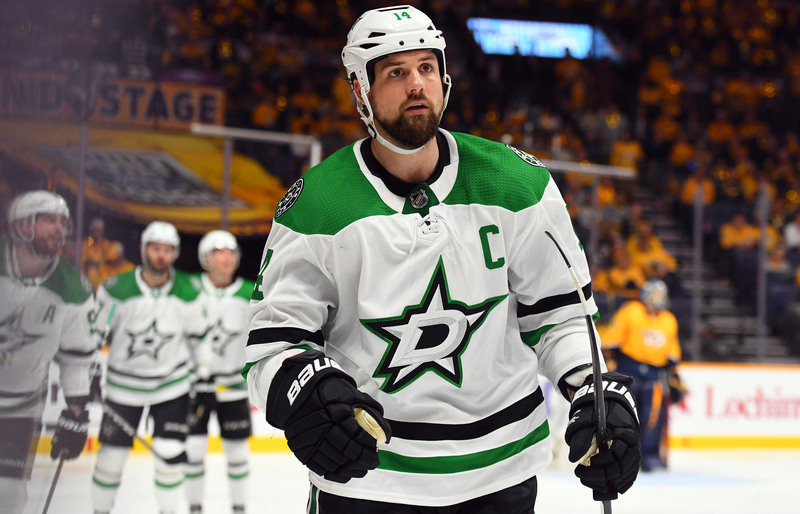 It feels as though these two teams are fairly matched, but special teams could give Stars an edge in this series. 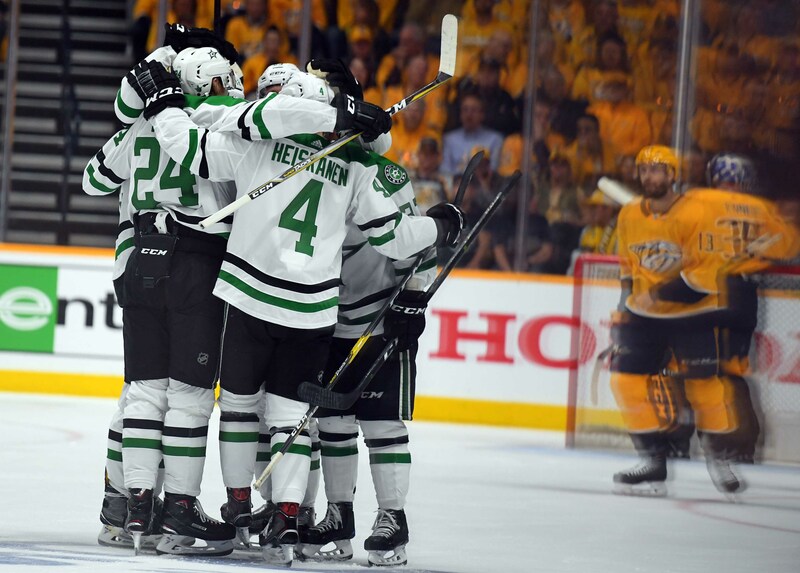 It’ll be nice to see the Stars playing playoff hockey again. 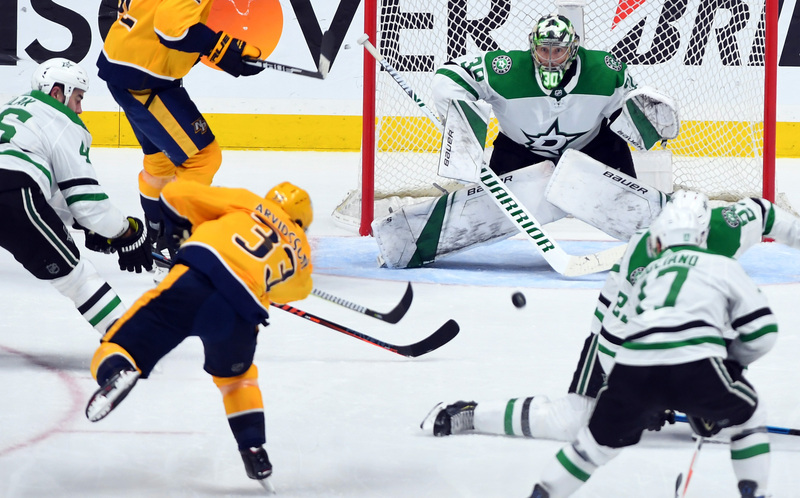 Plus, previewing the Stars-Predators series, Taylor Hall wins the NHL Draft Lottery, and more. Spoiler alert: not everyone picks the Lightning.